Here are two amazing Chapter Book Series for you to consider as stocking fillers. Remember, it’s equally as important to read to your child as it is for him/her to read to you. It exposes children to language that is beyond their capacity to read themselves. 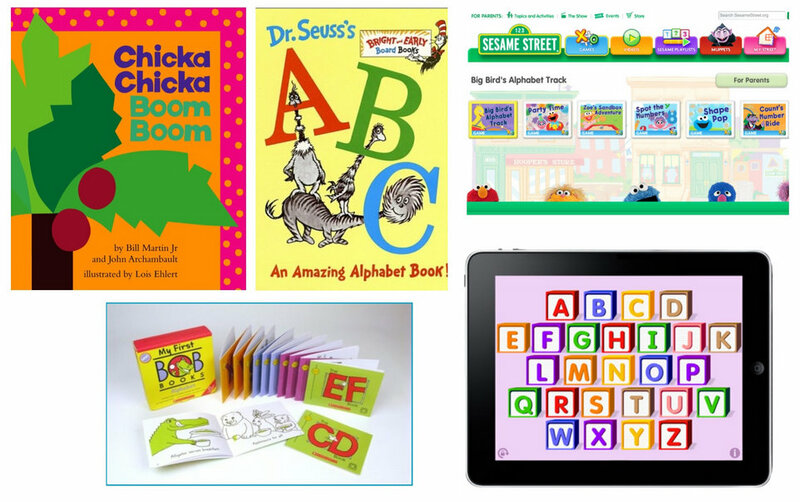 Modelling reading also acts as a support and encouragement to your child to read. Junie B. Jones is a fantastic series of Chapter Books to get your littles ones hooked on reading. There are soon many books it this series. I love when you can get a kid hooked on a “series” of books. It takes the guess work our of “what will we read next?”. It’s worth noting that Junie B. Jones is available as box sets too. Click here for a link to Book Depository to see the entire series of books. Junie B. Jones has they cutest website for her fans! Check out Junie B. Jones by clicking here. Flat Stanley by Jeff Brown is another one of my favourite Chapter Books. It your child is not familiar with Flat Stanley it’s imperative that you purchase this book first: Flat Stanley. It explains how Stanley came to be “flat”. All other books can be read in any order of your choosing. There are lots of books in the Flat Stanley series with more due to be release. Again, Flat Stanley is available as a box set too. As he’s been around for a while your local library might be a good place to start. Click here to visit book depository to see the entire series. Flat Stanley is also available in an easier to read format for younger/emerging readers. Again, book depository has lots and lots of these available. Click here. 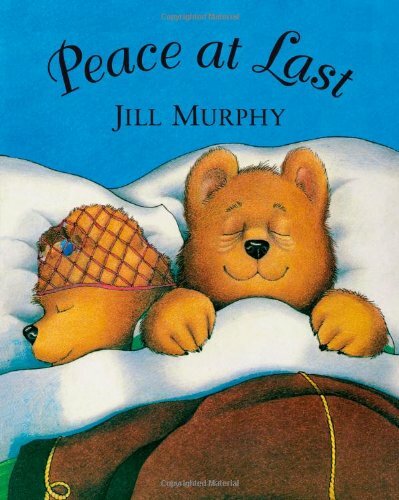 Tomorrow is the first day of term and I am looking forward to reading “Peace at Last” by Jill Murphy to my class. 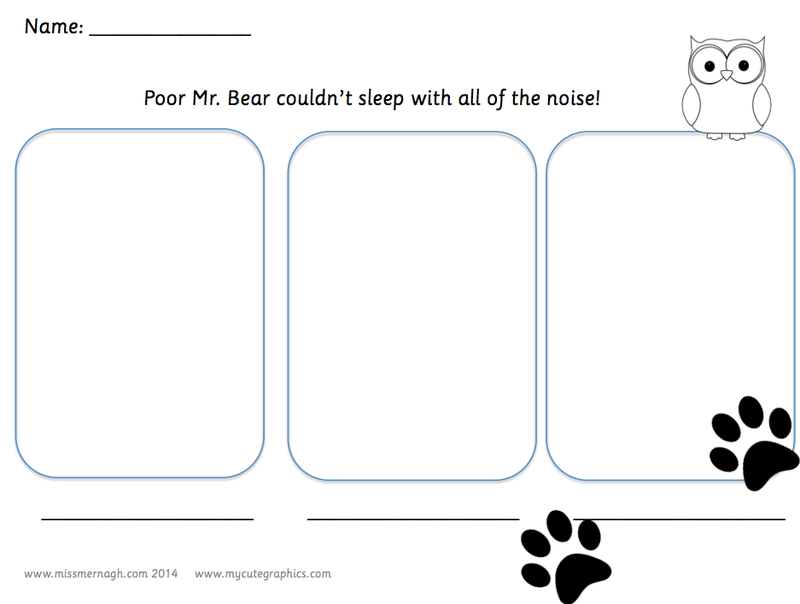 It’s late at night and Mr Bear is desperately trying to sleep–but Mrs Bear snores so he tries Baby Bear’s room, but Baby Bear is pretending to be an aeroplane so there’s no peace there. Room by room Mr Bear goes through the house trying to find somewhere to sleep. It’s a fantastic story for children in terms of participation opportunities, it is chock full of “night time sounds” that just beg to be shouted out at the top of your lungs not to mention a really cute repetitive line: “Oh NO! said Mr. Bear, I can’t stand THIS!”. One thing is certain, it won’t be a quiet start to my day!!! We will fulfil our science objectives by documenting the differences between night and day. If I can manage it time wise we will explore shadows. Must google how to make some cool shapes! With out further ado here are my Reader Response sheets for Peace at Last. I hope that you like them! Peace at Last is a well loved story and is probably available from your local library. If you wish to purchase a large format version for your classroom click here. It costs 16 Euro including postage and packaging. I just love my copy! Have you noticed that now that children are back at school that they are ‘OBSESSED’ by the days of the week?! My Junior Infants are already quizzing me. What day is “P.E”. When is “art”? The funny thing about it is they probably couldn’t tell you what today is so telling them that P.E is on Wednesday seems kind of pointless, no? Here is a great little song to help them to learn the sequence of that days of the week. Always a good starting point! there are 7 days in the week. It’s based on the Barney song. They start on a “Sunday” in their version. I have recently stumbled upon and fallen hopelessly in love with the following book: Jasper’s Beanstalk by Mick Inkpen. It would be a fantastic buy for parents or teachers. 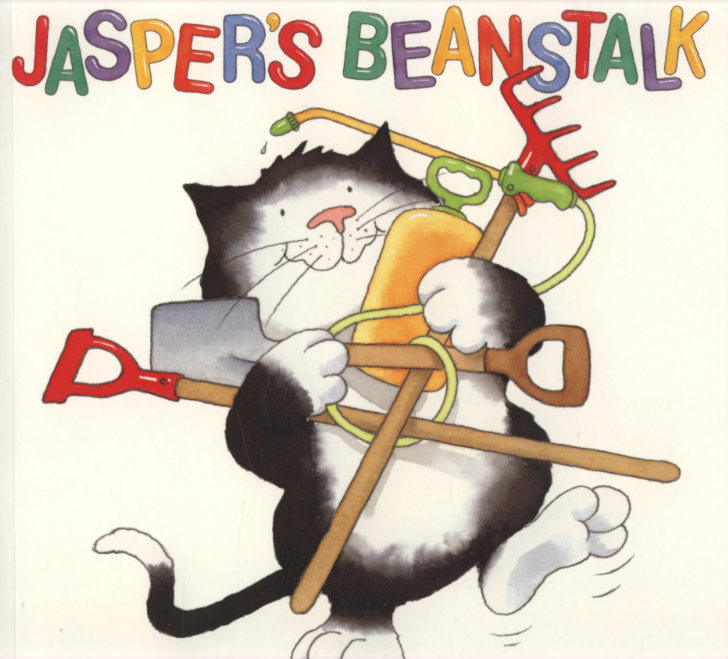 Jasper’s Beanstalk tells the story of a cat who finds a bean on Monday. 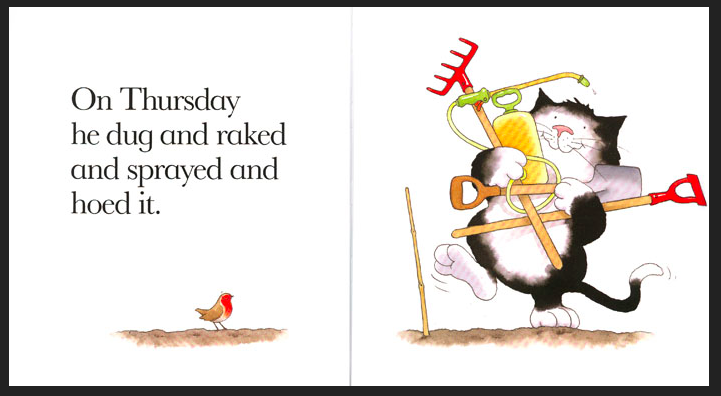 Each day of the week he tends to it: Tuesday he plants it, Wednesday he waters it… and so on. On Sunday he waited. On Monday he could wait no more and dug it up! It was still a bean! A while later, on a Thursday, it had become a giant beanstalk!!! Jasper’s Beanstalk is not only a fantastic way to introduce children to the days of the week but it also a great Science lesson on growing and caring for plants. There is only so much of the Very Hungry Caterpillar a person can take. I have been reading it for over 11 years now to my class. I still love it but and am glad to have found an alternative. Jasper’s Beanstalk is only 6.74 Euro on Book Depository with free postage. Click here of a link. 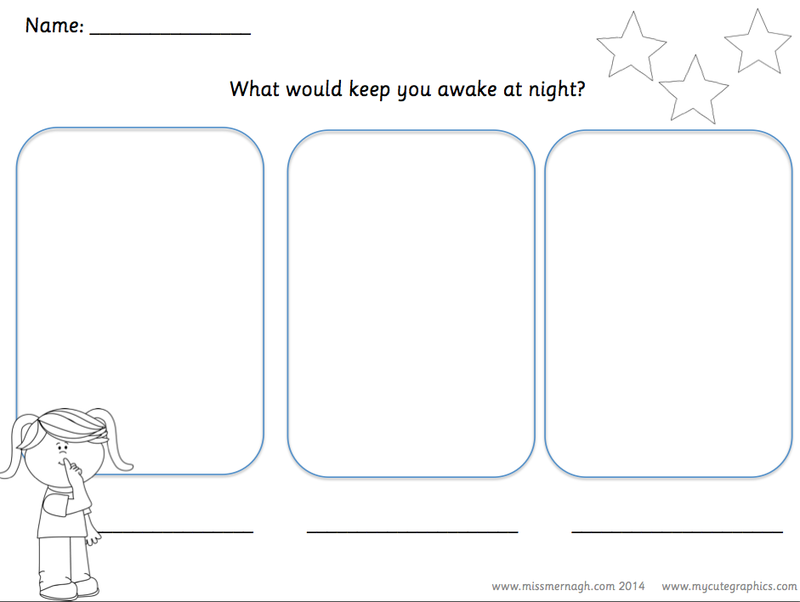 Check back next week for printables to go with Jasper’s Beanstalk! Here is another story with a fruit theme!! Handa’s surprise with all its exotic fruit will transport you to a sun-kissed land. 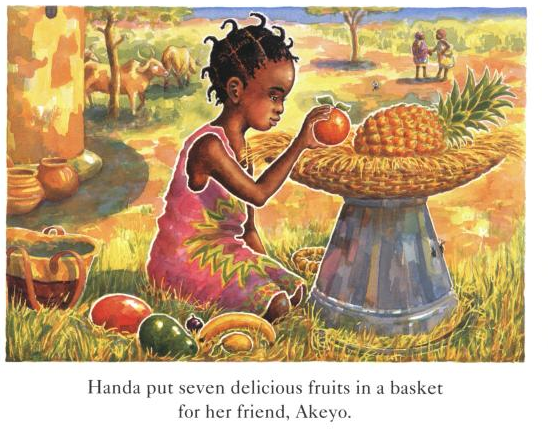 Handa puts seven delicious fruits in a basket to take to her friend, Akeyo: pineapple, mango, guava, passion fruit, avocado, tangerines and banana.But Handa and Akeyo are not the only ones who find it hard to resist delicious, ripe, juicy fruit! When Handa reaches her friends’s hut and lifts off her basket, it’s Handa who gets the biggest surprise. 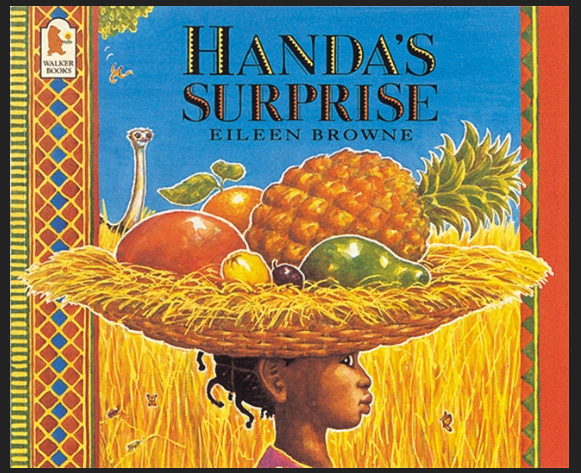 Handa’s surprise is a fantastic way to introduce children to both fruits they may not be familiar with: guava, avocado, passion fruit and antelope. Next time you are in the supermarket why not pick up one or two and make a Handa’s Surprise Fruit Salad? Most of the animals in Handa’s Surprise will be instantly recognisable. The antelope might be the exception. The sun has been shining for weeks now in Ireland. It is absolutely glorious! It has been a fantastic start to the school holidays for all of us! While school might be out for Summer learning certainly is not! I am busy completing a course on Junior Drama. I can’t wait to try out all the new games and techniques that I am learning this week! I always encourage parents to continue reading to and with their children over the summer. It has been proven that reading for 20 minutes per day has a hugely positive impact on literacy rate and reading fluency. In fact reading for 20 min per day equates to 10 school days per year according to U.S research. Click on the link below if you are curious! I just love to read. I think that it is probably one of my favourite things to do when on holiday! I am loving the fact that I can buy books instantly on iTunes for my iPad. 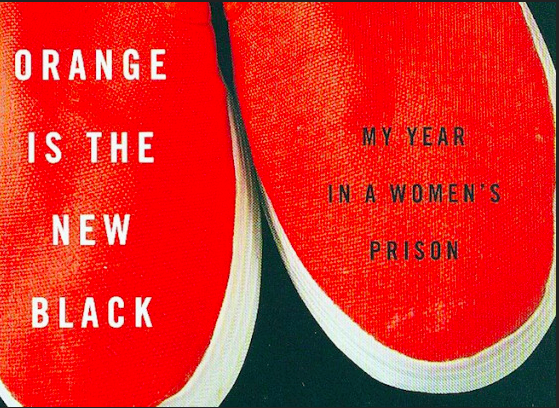 My latest download is “Orange is the new black” by Piper Kerman. Netflix have adapted it into a tv series. I just love true stories and this one is fascinating! I will leave you with this poem to reflect on. It certainly got me thinking! Check back tomorrow for the start of my summer reading for kids. It promises to be fun!!! As we are having a week long break from “Power Hour” I was on the hunt for a fun, interactive game for split digraphs. I struck gold with this one! It is fun but pretty tricky. You really do need your wits about you! The link below is for u_e words. They are the trickiest to decode and pronounce by far. 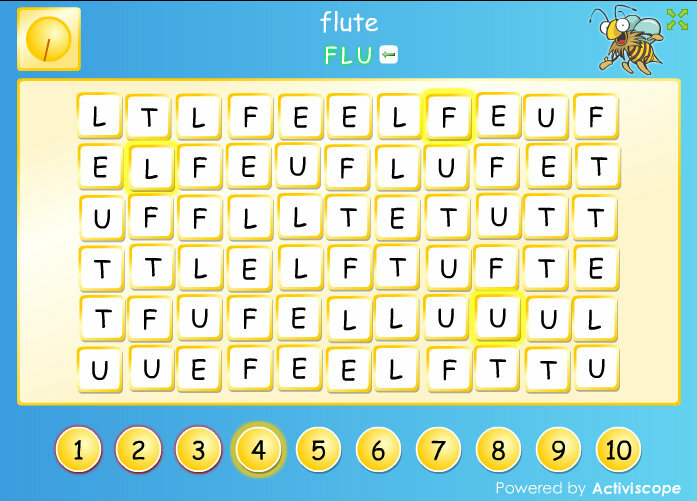 The object of the game is to spell the word by tapping on the correct tiles. You must tap them in the correct order. Sounds simple, right? It would be if it wasn’t for the fact that the letter tiles keep moving!!!! You can, thank goodness, use the small arrow key to delete a letter if necessary. I dare you to play is before your child/class. It is tricky to tap the tiles before they move. Lot of fun and laughter in my room when we played this. I had pupils decode the word before spelling it on the tiles. I hope that you have lots of fun playing this game. Oh yeah, there is a harder, timed level for those of you who dare! Following some requests and queries I thought that I would share with you my “favourite things” for preschoolers or emergent readers, 3-4 year olds. I have reviewed all of these before but decided to put them together to make them easier to find.